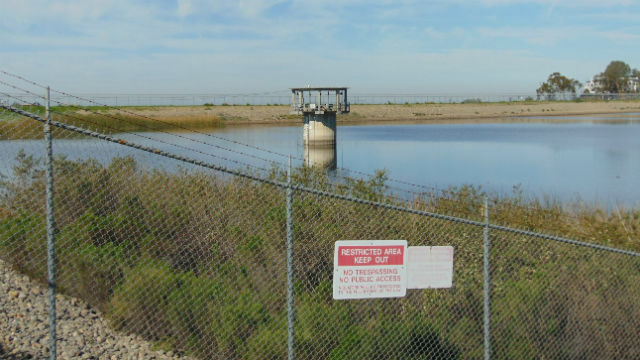 The City of San Diego took steps Thursday to reassure residents the nine dams it operates are safe in the wake of a near disaster in northern California. 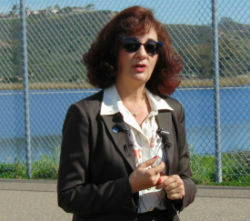 Public Utilities Director Halla Razak met with reporters at Lake Miramar, where an earthen dam completed in 1960 holds 100,000 acre-feet of water. 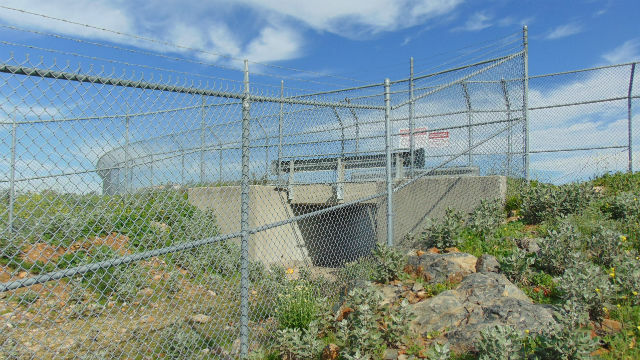 The dam in Scripps Ranch is similar in design to the one at Lake Oroville, but “dwarfed” by that structure, she said. Erosion of the main and emergency spillways at that dam — the tallest in the United States — threatened flash floods in Oroville and forced the evacuation of tens of thousands earlier this week. Emergency repairs are now underway. Razak said most of the city’s dams hold imported water, so heavy rains like those forecast for this weekend are unlikely to cause a problem. “No matter how hard it’s going to rain, the likelihood of spilling here is close to zero,” she said. In fact, the Miramar Dam’s spillway has never been used. Razak said the city’s dams — some of which date to the 1920s — have been upgraded over the years and are carefully inspected on a regular schedule. A comprehensive condition assessment of the city’s dams led by the state Division of Dam Safety has been underway for the past year. Inspectors are analyzing dam condition, confirming seismic safety and recommending necessary repairs or maintenance. The spillway at Miramar Dam.